Increased used of the internet, changes in consumer behavior, perceptions, brand preferences and lifestyles have all impacted the manner in which businesses used to operate. Nevertheless, internet marketing entails much more than just getting your website up and waiting for the world to beat a path to your door. It becomes extremely hard for us to understand sometimes how our life has changed until we pause for a second and take a deep look at how different our life is from what it used to be ten or may be five years ago. Social media, in recent years, has impacted our lives more than anything else. This global transformation that has taken place over the past few years because of advanced social media platforms such as Twitter and Facebook might have been unimaginable for most of us at the beginning of this decade. With the dramatic evolution of the internet, traditional communication methods have largely been replaced by the latest communication techniques including social media networking and marketing. Social media in today’s world has revolutionized the way in which businesses promote their offerings to their customers. 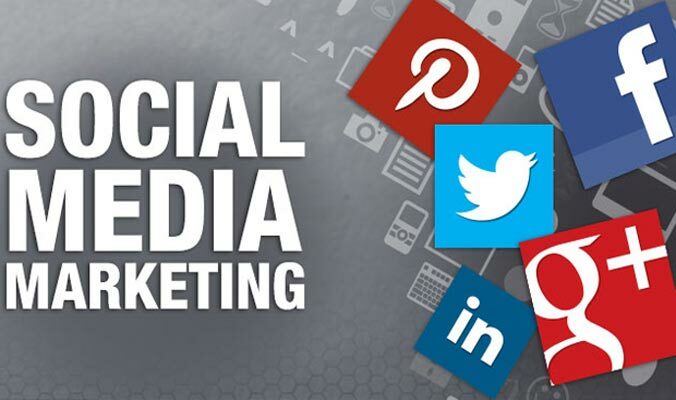 It is an undeniable truth that a number of businesses in recent times venture into social media marketing with hopes of getting a good return of their investment. The expectation is that customers will be attracted in droves and that the benefits and revenue generation will be phenomenal. The immense power of social media can be used to communicate with millions of web surfers who search the internet every day to look for products and services to satisfy their needs. It goes without saying that social media communication tools have changed our lives profoundly and how we communicate with one another and the world around us. As the world becomes more interconnected, keeping up with the latest developments has become more crucial than ever for marketers who are seeking to gain competitive advantage over their competitors and trying hard to impress new customers with varying preferences and tastes. Nevertheless, in order to grab the opportunity that lies in the online market, it is of paramount importance for businesses to plan the type of experience they want to deliver through their social media marketing strategy. This strategy in essence should be in line with the overall objectives of the business. Even though traditional information mediums such as newspapers and news channels still exist, instead of checking these sources for getting the latest news, most of us rely heavily on social media platforms as these platforms have increasingly become our trusted sources of information. With the evolution of social media, it has become very easy for businesses to interact with their target audience and keep them engaged. Interactive advertising such as contests, learning modules and games enables you to interact with the target audience. Businesses have realized the potential of social media in building a brand due to which they are spending more of their advertising budgets on social media advertising. With more and more people using their social media accounts for communicating and staying in touch with their loved ones, online interactions are gaining in popularity compared to face to face meetings or interactions. With more than a billion people using Facebook and Twitter for social networking in recent years, traditional mediums of communication have been replaced largely by modern communication techniques that have revolutionized the world of communication and has truly made connecting with people easy and an integral part of our everyday lives. Cultures go through a number of changes in almost every era, and more recently, our culture is witnessing a massive revolution – the social media revolution. Traditional means of communication are not likely to vanish overnight nor will the need to communicate and interact via conventional communication channels, but social media not wonder is proving to be a powerful medium of engaging with people on this vast planet of ours. As we successfully emerge from social media stimulus overload, the questions that we will be asking in coming years would be not about the technology, but what it jeopardizes and what it offers, and about how we as a connected population shape our lives in years to come.